If your presentation attendees want to take notes on a PDF handout you have sent them, one option is to use Microsoft's OneNote. 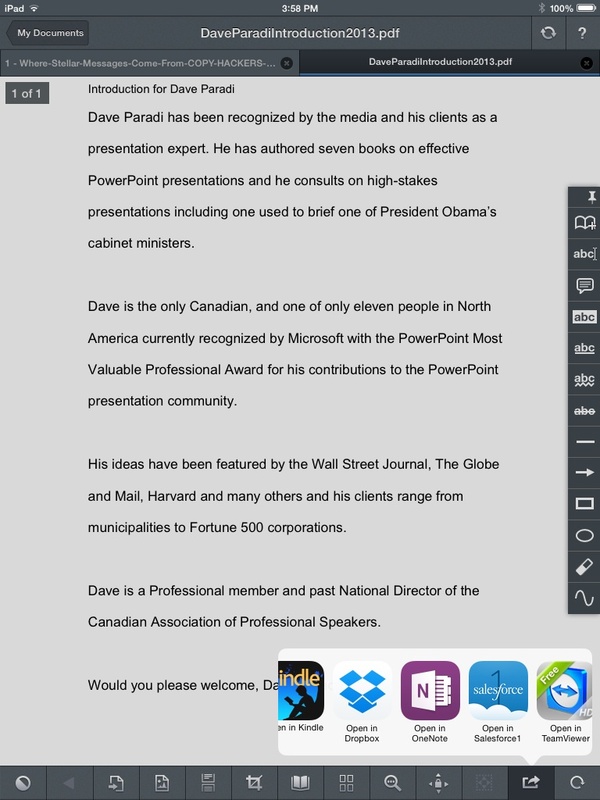 This cross-platform program now allows users on iOS to add a PDF document to a note, making it easy for someone to import your PDF handout into OneNote, add thoughts and comments during your presentation, then be able to view that note on any platform. 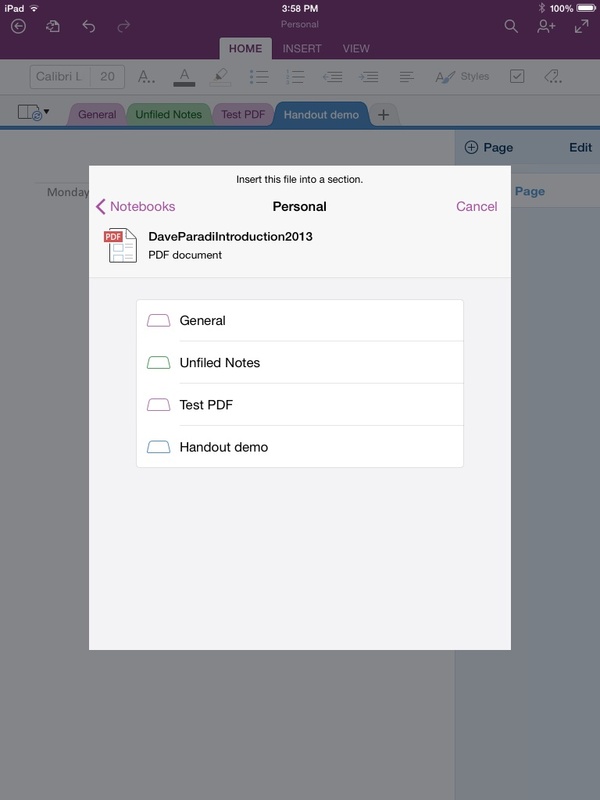 Here is a quick tutorial for iOS users on how to import the PDF document into OneNote. 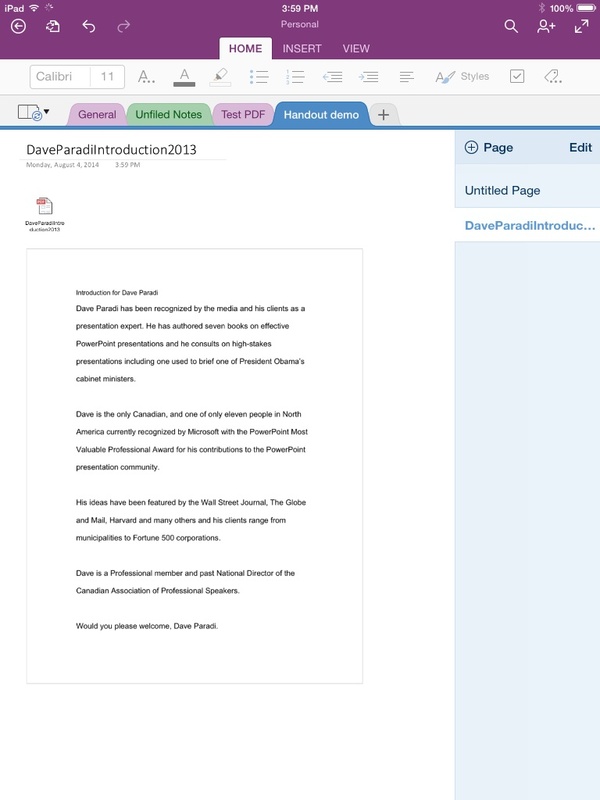 If the PDF document was emailed, open the PDF from the email. In the example below, I already saved the PDF document in GoodReader. In almost all iOS apps, you have the Open In function to allow you to open the file in another app. From the list of available apps, select to open in OneNote. The OneNote app opens and it will ask you to select which Notebook and which tab you want the file inserted on. 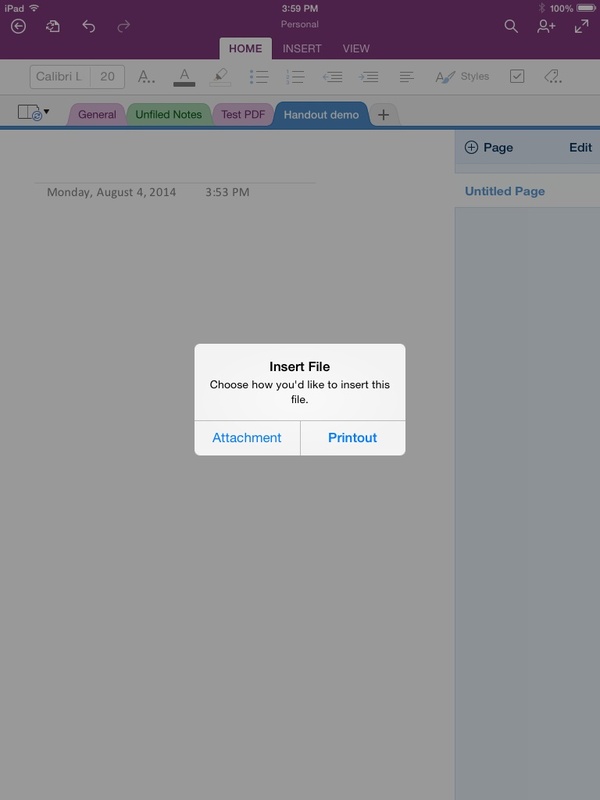 You can insert files into OneNote as either an attachment or a printout. The printout option allows you to see the contents of the file, in this case, the handout. 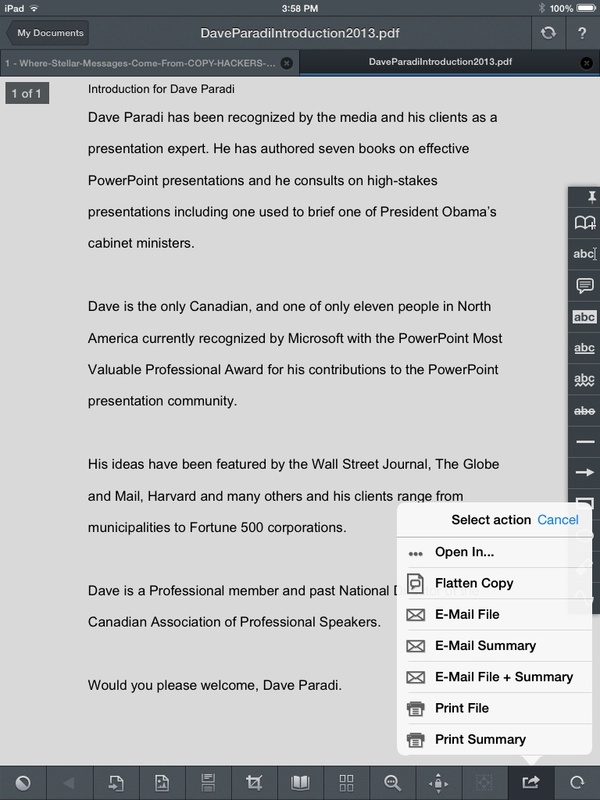 By seeing the handout content, it is easier to add comments at the relevant spot on the page. Now that the handout is on the screen, you can add comments to it. As of the July 2014 version of the iOS OneNote app, you can only add comments above or below the page unless you have added a comment in a desktop version of OneNote. Then you can add comments beside the page. This is inconsistent behaviour that I hope is corrected in a future update.